A former South African Test and One Day International cricketer. He is commonly regarded as the greatest fielder in the modern era of cricket, if not all time. 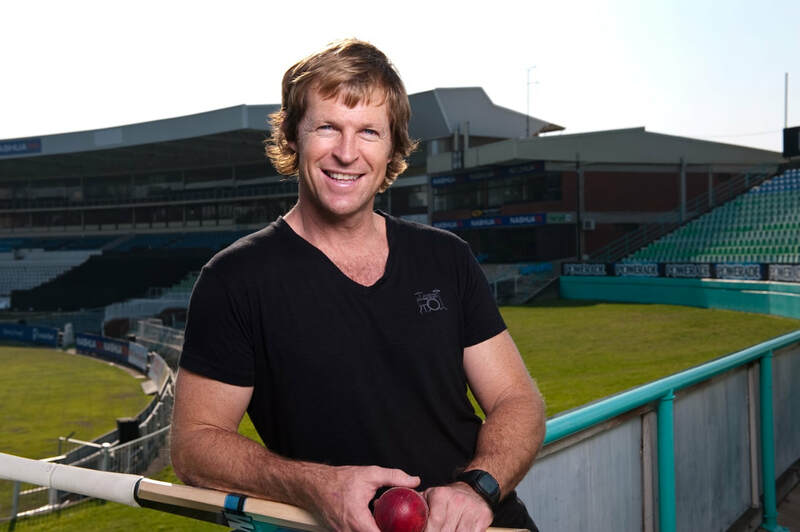 South African cricketer Jonty Rhodes became an overnight sensation when he ran out Pakistani batsman Inzamam-ul-Haq with his now famous dive during SA's fifth match of the 1992 Cricket World Cup. Until his retirement in 2004, he was regarded by many as the world's premier fieldsman, particularly when fielding in the cover point and backward point positions. Jonty, who is said to be the only player in history to have received a "Man of the Match" award for fielding, played 52 test matches, and 245 ODI's for South Africa. During this time, he did not only introduce a new dimension to fielding in world cricket; he also delivered countless memorable (and often match saving) batting performances and inspired fellow cricketers and the public alike through his sportmanship on and off the field. A competent all-rounder even beyond the cricket field, Rhodes also represented South Africa in hockey, and was chosen as part of the Olympic Games squad to go to Barcelona in 1992; however, the squad ultimately did not qualify for the Games. He was also called up for trials to play in the 1996 Olympics but was ruled out due to a hamstring injury. Jonty was born in Pietermaritzburg and after matriculating from Maritzburg College went on to complete a B.Com degree at the University of Natal (Pmb). In 1992 he made his first Test debut at Kingsmead against India and his first ODI debut against Australia at Sydney in the same year. In 1993 Jonty took 5 catches in a match to set a record for the most dismissals by a fielder (excluding wicket-keeper) in one match, and he also held the world record for the most dismissals by a non-wicketkeeper in ODI’s. In 2002 he was voted the best fielder in cricket by the players. During his career he also played for the Irish cricket team and played first-class cricket for Gloucestershire County Cricket Club, KwaZulu-Natal and Natal. Rhodes retired from Test cricket in 2000, and from one day cricket in 2003 after an injury during the 2003 Cricket World Cup ruled him out of the rest of the tournament. Jonty played 52 tests before retiring from test cricket in 2003. In 2004 he was voted 29th in the "Top 100 Great South Africans", and he was one of the Wisden Cricketers of the Year in 1999.